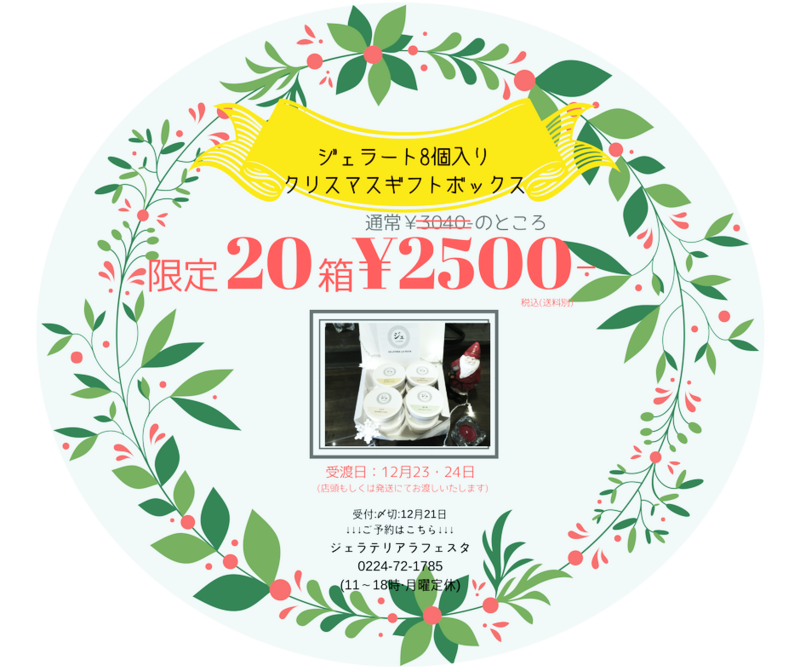 GELATERIA LA FESTA - クリスマスギフトボックスのお問合せ - 株式会社VISIT東北｜VISIT TOHOKU Inc. GELATERIA LA FESTA - クリスマスギフトボックスのお問合せ - 株式会社VISIT東北｜VISIT TOHOKU Inc.
Our mission is to keep stepping forward to revitalize Tohoku region with profound respect to Japanese culture and continuous polish of global awareness. 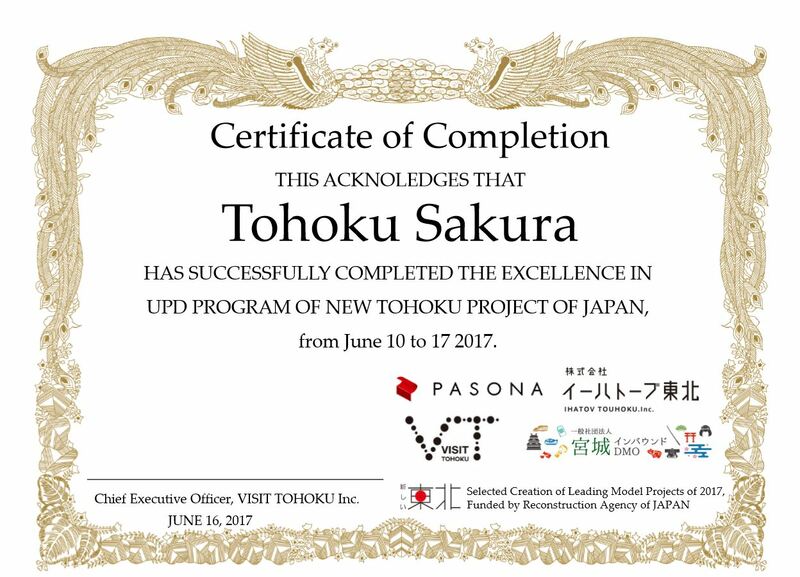 Reconstruction Agency “New Tohoku" Exchange Expansion Model Project / A joint educational travel programme with Pasona! In 2017, Reconstruction Agency ‘New Tohoku’ took on an exchange expansion model project and planned an educational travel program called ‘Unique Potential Discovery’. This new form of educational travel set in Miyagi Prefecture and Iwate Prefecture allows participants to experience craftsmanship techniques such as ceramics and indigo dyeing, or agriculture or studying about the reconstruction efforts and techniques. This trip offers participants new possibilities and experiences through an immersive educational travel tour program. The revitalization of the various regions across Japan is recognized as one of the most important topics. With the decreasing birthrate, aging population and concentration of people in major cities being some of the main causes, the economy of smaller regions and districts is starting to get worse and worse as time passes. VISIT Tohoku, as the name suggests is a company fully committed to the revitalization of the Tohoku region. We think that the sole key to fixing the current issue with smaller regions and districts is both primary industry and sightseeing. Recently, with the changes and growth of the country’s policies as well as world economy and international events, the visitors to the Japanese islands have started to become much more consistent and larger in number, however these numbers and blessings are not reaching Tohoku. However, even with that said we are not at all disappointed. There are many things, people and experiences in Tohoku that everyone from all over the world would become infatuated with. We, VISIT Tohoku put our entire focus into bringing out that potential and showing it to the entire world. We try to carry foreign culture that has never been brought here before into Tohoku and become a model for the revitalization of Japan’s many regions by working hard and creating a new economic bloc. We would like to bring the name “Tohoku" up to the level of places like Paris, New York, London, Singapore, Bangkok and Hong Kong. If we’re going to do it we feel we should aim big. Which is why we will be aiming to be the best sightseeing spot in the entire world! This is our, VISIT Tohoku’s passionate mission. Company name VISIT TOHOKU Inc.
What is the “Matsuri project"? By using Tohoku’s traditional festivals, we are a company that has been established to help with the revitalization of the Tohoku region. VISIT Tohoku is a company made for that purpose and for that purpose we are using “Festivals". From famous festivals to ones that seem like they’re about to become a new tradition we are introducing all of Tohoku. We want to be a step above the rest and make foreign people want to come and see and experience these festivals for themselves. Festival project stage 1 “MATSURI de Gelato"
For the first stage of the MATSURI project, we opened a gelato shop “Gelateria la festa". Made with ingredients from the local area and seeing those should help with the revitalization of the local area. There are many famous food products collected within Tohoku, by using these we create gelato, and send them out of town, out of prefecture and eventually out of country to expand Tohoku brand. Media showing the many alluring sights of Tohoku “TOHOKU365.com"
A Travel agent site aimed towards the South Korean people “TOHOKURO"
The establishment of “General Incorporated Association Miyagi Inbound DMO"
“Matsuri" means festival. Tohoku has a lot of festivals. We aim to use these festivals by putting them a step above the rest, making it so that foreign people want to visit Tohoku over all else. 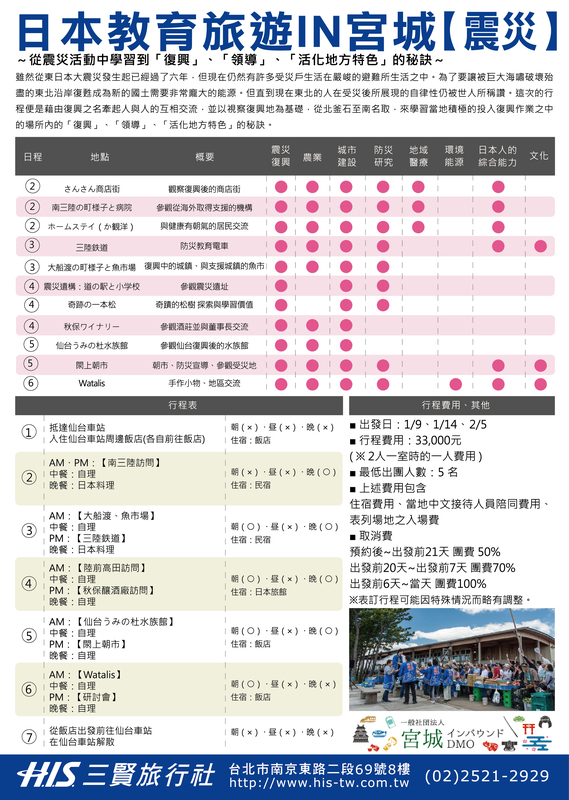 To try and increase the amount of visitors to Japan we are constantly releasing public advertisements into Taiwan with our “Taiwan PR/Promotion service". We aim to release and transmit information of why Tohoku is such an amazing place to visit to try and help start the rebuilding of industry and revitalization of the region. To all students, we have a wish for them to have various experiences overseas. For this opportunity, Miyagi and Iwate Prefectures of Japan are the place where we wish them to know what experiences they can expect through staying. As we wish so, we will provide both travel contents production and sales promotion service for “Educational Travel to Japan Program” aimed at university students. Through this program of the educational travel, students can experience, feel sympathy with, and learn “cultures and lives of local people in Miyagi and Iwate Prefectures”, “human power – as seen in their spirits and spirituality for reconstruction, proprieties”, “wisdom”, and “progress to date for reconstruction”. These can be learned especially in these areas which have lived through the great earth quake and disaster. ※”Educational Travel” here means a travel for the purpose of learning, not sightseeing. Authentic cultural and business experience of Japan is surely promised, which you cannot learn at school. Below are some examples of our experiential programs in Japan. 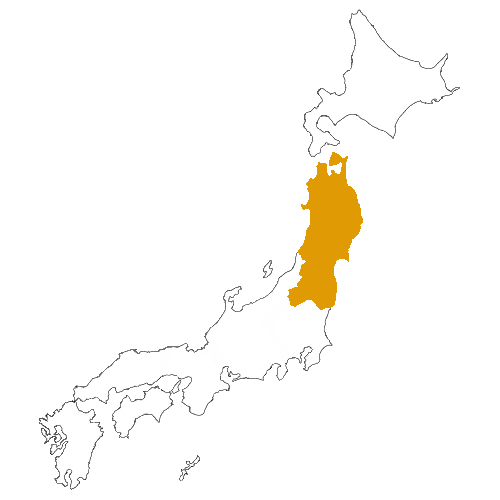 Miyagi and Iwate prefectures have more than 100 of experience-based contents and researchable contents for academic purposes. We will customize contents of the educational trip program to Japan according to your needs about what students wish to experience in the prefectures. It’s you who decide the contents of the tour! So, please answer the questionnaire. The detail is explained in the next page. Practice Kendo with the Kendo team of Sendai Ikuei High School. Participants can try the real uniform, Dogi, and also learn traditional manners through the Japanese swordsmanship. Local fishermen will talk about the disaster-hit oceans. After the devastating Tsunami, how have things been reconstructed there? 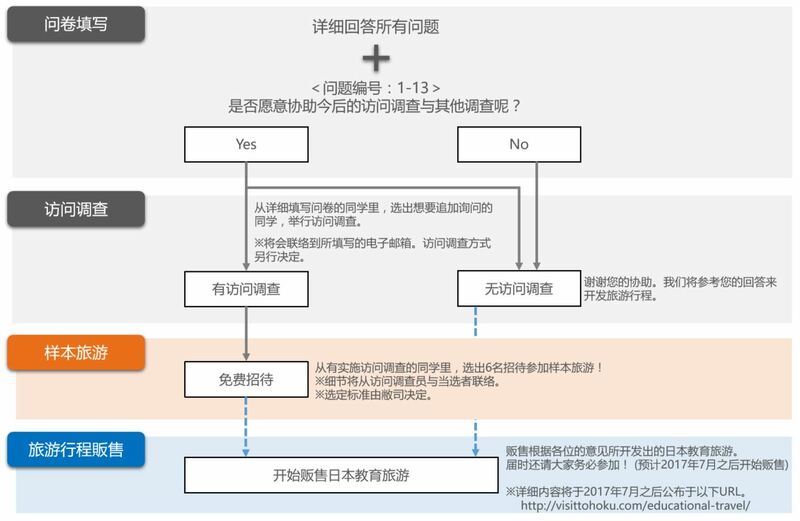 The current measures against disasters will be taught. Rice farming has been the center of Japanese people’s lives. Transplanting and reaping rice together with local farmers will give an insight into a traditional Japanese lifestyle and its environment. Join us for hands-on Japanese-paper making workshop at the paper mill. You can learn about the traditional industry of Japan and also feel the Japanese spirit of valuing a harmony, known as ”Wa”, through the very sensitive art of making a paper. Meet with local strawberry farmers who experienced the disaster and listen to the story of reconstruction. Their strawberries are filled with their wish. You can learn their strong spirits to recover from the damaged life. Participants can short-stay in a local resident’s house or temple. A best opportunity to have a real life experience with Japanese people and to see their spirituality in the daily life. The contents of the educational travel to Japan program will be customized according to your requests and needs about what you would like to experience in Miyagi and Iwate prefectures. That is, it’s you who decide the contents of the tour! So, please answer the questionnaire. 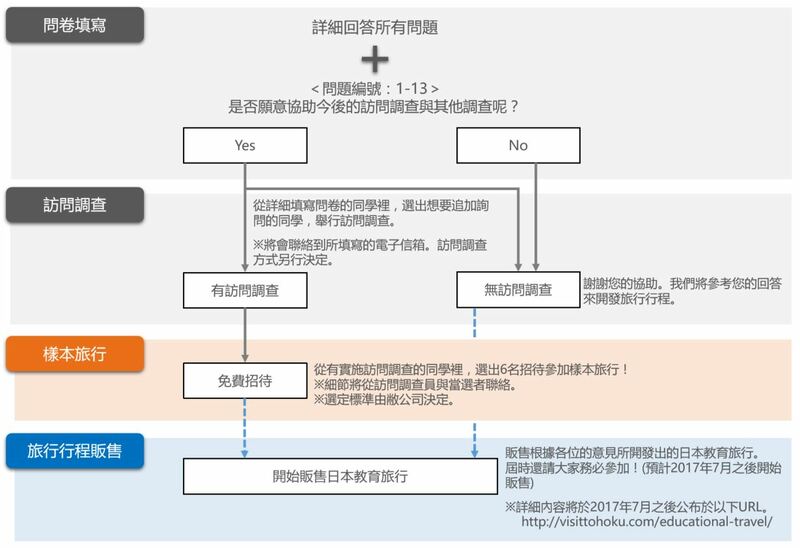 Your answers to the questionnaire could help us organize the journey tailored more suitable to your needs, only experienced in Japan. Therefore, your honest and specific opinions about the program, such as below, will be more than appreciated: “I want to study further about the subject I am currently learning in my university”, “I just want to experience a different culture in a foreign country”, “I have a desire to solve an issue that another foreign country has been struggling with”, “I want to see what I can really do for myself”, and so. Please visit the URL below and answer the questions. The approximate time to complete the survey is about 10 minutes. It can only be submitted with the “Send” button pressed at the last page. So, please make sure to push the button when finished. 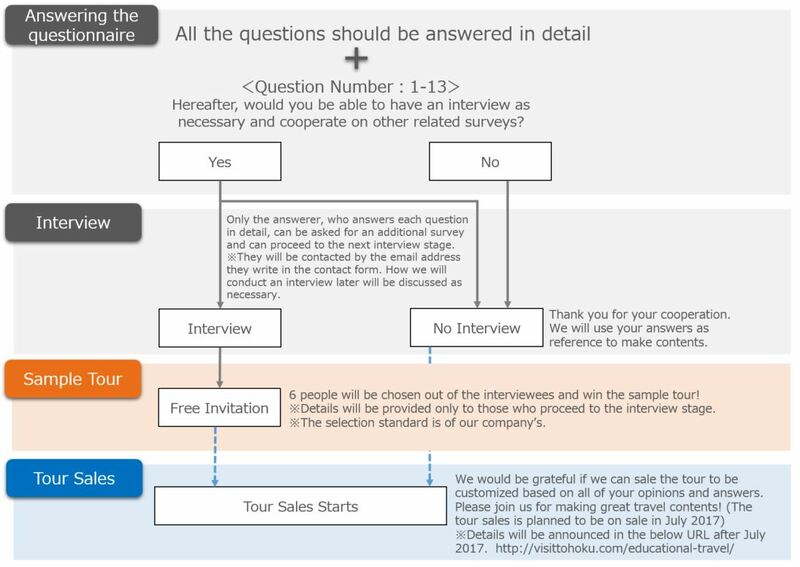 This questionnaire will be an important survey to decide tour contents of Educational Travel to Japan Program. Your specific answers in detail are more than appreciated. 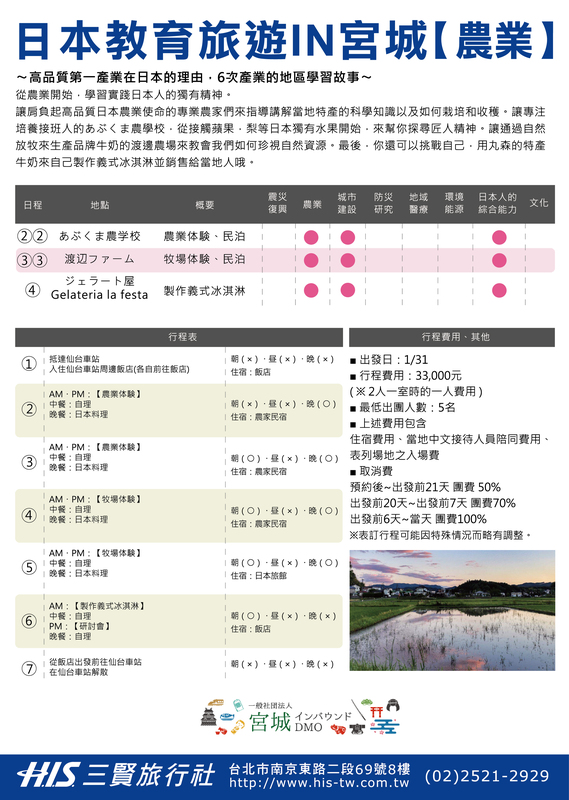 Should you have any questions about the questionnaire, please feel free to contact here (ask@visittohoku.org). There are some cases we would ask an answerer to have an interview with us if we have anything unclear or a question regarding an answer. We will select 6 persons, and they will be invited to a free sample tour according to answers of the questionnaire. 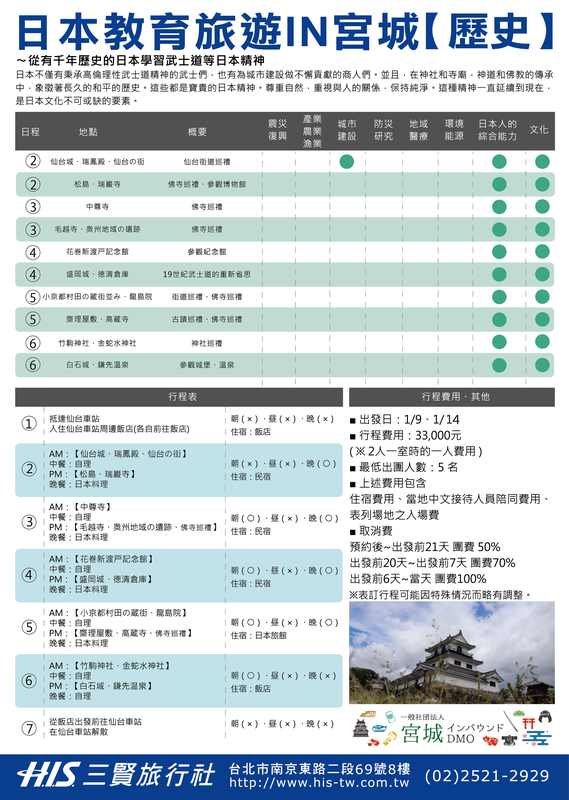 We have created this ‘Educational Travel to Japan Program’ for all university students in hopes that they will have a gain invaluable experiences while staying in Miyagi and Iwate Prefectures. This educational travel program allows students to experience the culture and lives of the locals living in Miyagi and Iwate Prefectures. Students can also empathise, and understand the resolute and mindset of the locals after having gone through the great earthquake and disaster. ※ This educational tour is done with the purpose of learning, not sightseeing. The authentic Japanese culture and business experience that cannot be learn in school is guaranteed. 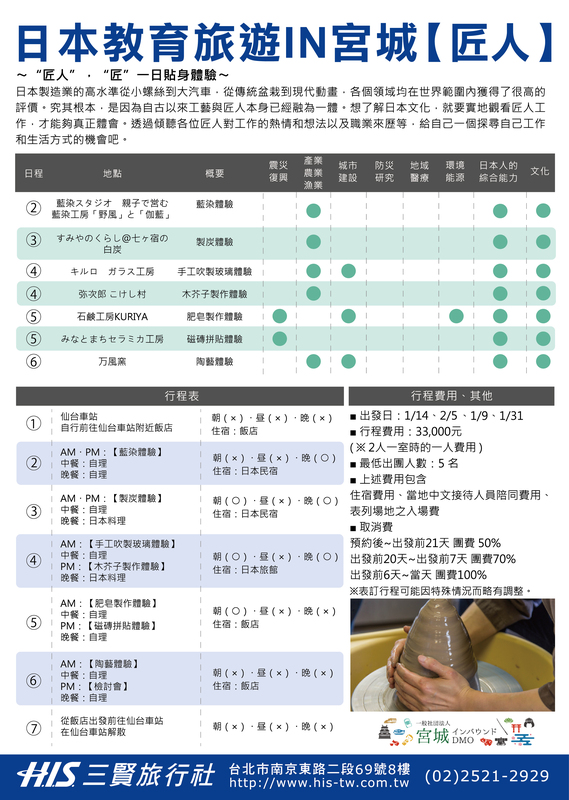 Below are some of our trial programs done in Miyagi and Iwate Prefecture. There are more than 100 experience-based and research contents for academic purposes. 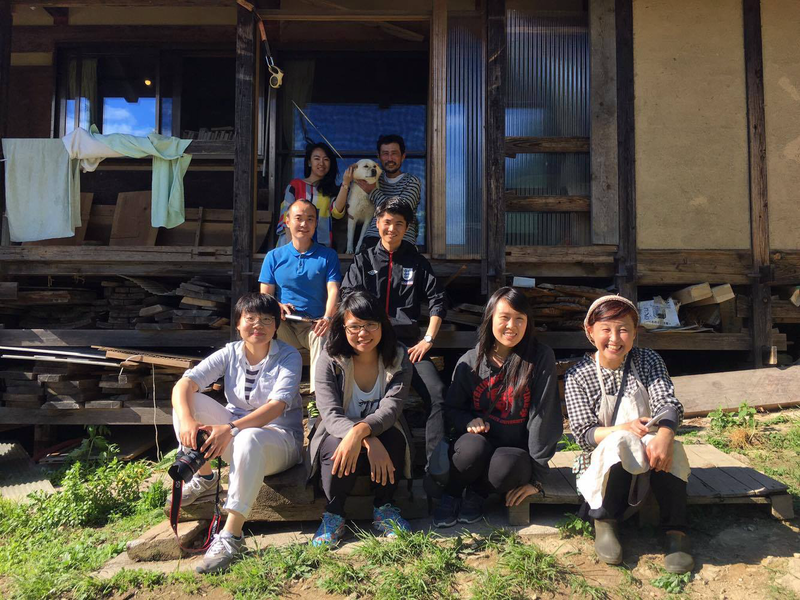 Participants can have an opportunity to have a short home-stay with locals experience the daily lives of Japanese people. Participants can have hands-on experience with traditional Japanese crafts such as ceramics, glass blowing, indigo dye, etc. Participants can learn about the traditional techniques and understand the effort put in to make these crafts. 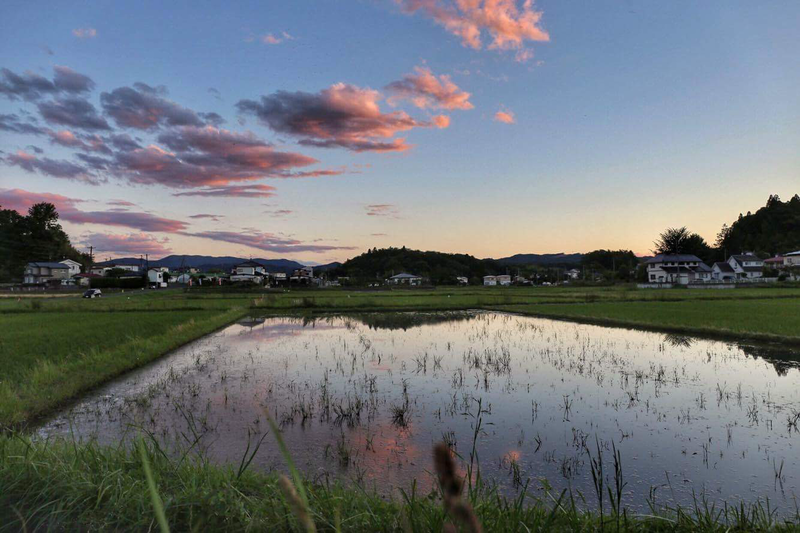 Rice farming has been the center of Japanese people’s lives. Participants can try reaping rice together, milk a cow with local farmers and get an insight into the traditional Japanese farmer’s lifestyle and its environment. You can get certificate of this program! 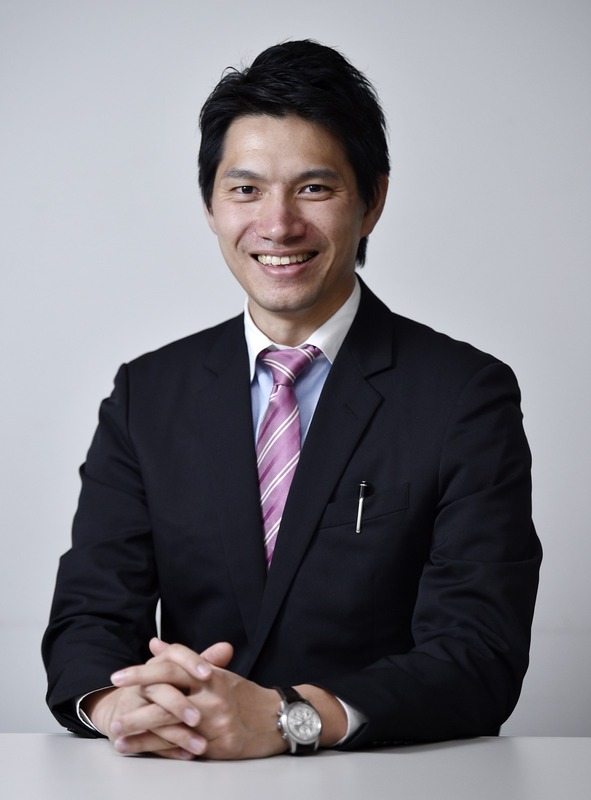 Learn about Japan’s corporate culture and its management style. Participating industries includes food manufacturers, equipment manufacturers, farmers and inns. This program allows participants to learn about various quality management methods and manufacturing methods of Japanese companies. 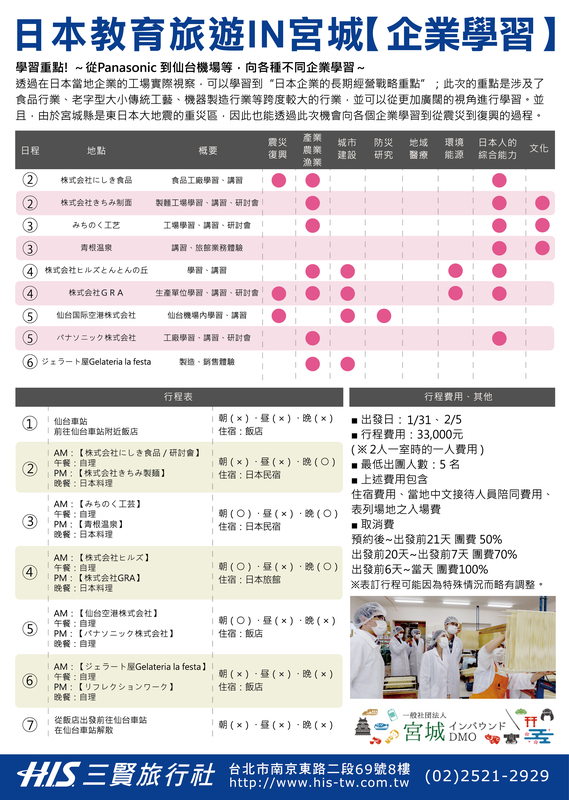 This is highly recommended for those who are keen to know about Japanese companies. A trip to Sendai Factory in Natori City and learn management theory, development of global market and the vision/mission of founder, Konosuke Matsushita. 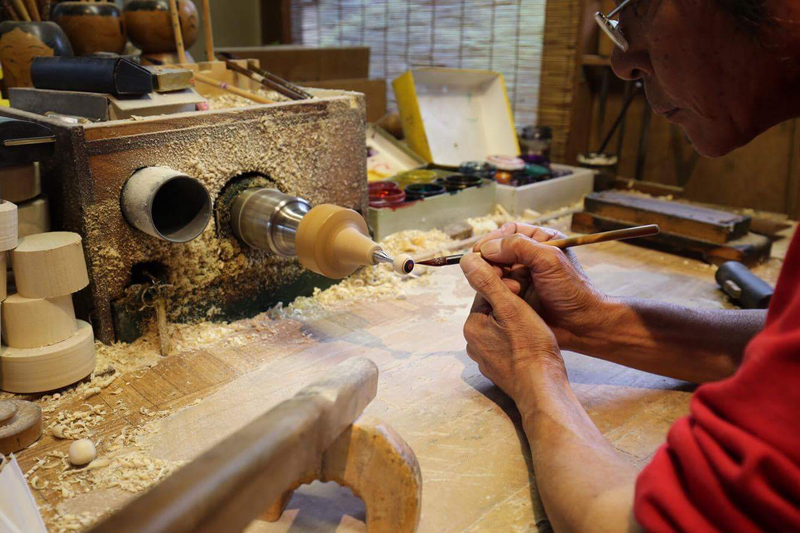 Experience Japanese culture from its traditional crafts. Participants can learn about the passion and commitment put into these crafts from the expert craftsmen themselves! This experience will open your mind to a completely different world and help you set your future goals and way of life. Create your own indigo dyed products via using environmentally friendly natural indigo dye. Not only can you bring back your own handmade indigo dyed products home, you can also learn a thing or two from the expert craftsman themselves about the philosophy and traditional dyeing methods! Learn about Japanese History with the guidance of experts in this field. This program provides an immersive experience by bringing you to historical sites and explaining the history behind them. Have a question about Bushido and Japanese spirit? This is just the tour for you! ・Sendai Castle, Takekoma Shrine, Chusonji, etc. A visit to historical sites and ruins that are still present since the Heian Period and learn about the history behind it. Experience agriculture/dairy farming and learn the sixth order value chain development in Japan. This program allows participants to learn and practice the methods in dairy farming and agriculture from professional farmers who are responsible for the high-quality Japanese food. Learn the techniques and science behind nurturing and harvesting tasty products. Hands-on experience and learn how it is like to be pruning, harvesting, daily care, shipping, management, quality control, etc. Learn from the farmers themselves on how to nurture and harvest high quality agricultural products. A comprehensive insight and intuitive experience to understanding the 2011 East Japan Earthquake that struck northeast Japan. On March 11, 2011, northeast Japan suffered a majored earthquake and tsunami which resulted in the loss of about 16000 lives. The coastal areas of Miyagi Prefecture is particularly affected where a large number of houses and lives were lost. Participants can learn about the efforts and projects done for the revival and reconstruction of the region. They can also hear the voices of the survivors and learn about regional rehabilitation of specific measures such as embankment construction, housing reconstruction, disaster prevention education, government subsidies and employment. ・Iwanuma (tree planting experience), Naton (morning market), etc. Learn the methods on cultivating new trees that can effectively resist tsunami and forestry from Tohoku University. Tohoku and Iwate Prefecture have suffered various damages from earthquake and flood. This program is catered to those who are interested in learning about the techniques of flood control. Participants can also learn about urban functions inland and in coastal areas that played an important function in the Great Earthquake. Rikuzentakata suffered huge damage due to the Great East Japan Earthquake in 2011, bringing its population down from about 24000 to 20000. Hear the voices of the people living in the area and learn about the spirit of harmony in Tohoku. Experience the essence of Japanese culture from its traditional performing arts and its unique crafts. This program allows participants to have an immersive experience of Japanese regional craft and culture through learning traditional Japanese dance and crafting from the experts themselves. A visit to the Iwayado Tansu factory which has been around since the 1100s. 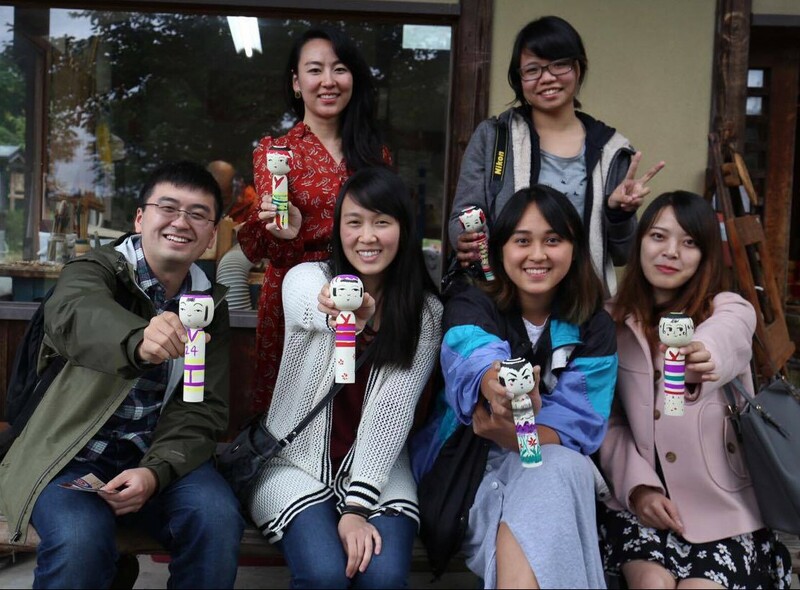 Learn Japanese culture through a hands-on experience of making the traditional craft. Mochi/ rice cake is a food culture that has supported the world heritage Hiraizumi in the Southern area of Iwate Prefecture while Gold culture is solely in the Chusonji Kannado. This program allows participants to learn about the gold culture in the area and make their own mochi/ rice cake. Learn about Kimonodo which is a representative of gold culture. Learn about the region’s unique food culture through the history and culture of eating glutinous rice. You can choose your favorite tour!